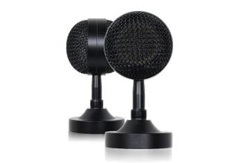 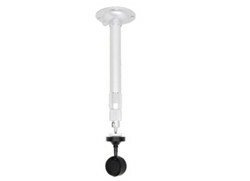 It utilizes hanging microphone with super-long pick-up distance and built-in large diaphragm Hi-Fi microphone core. 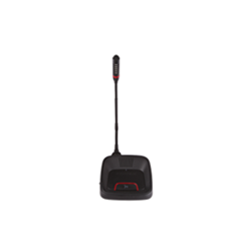 The pick-up distance is from 3 to 8 meters. 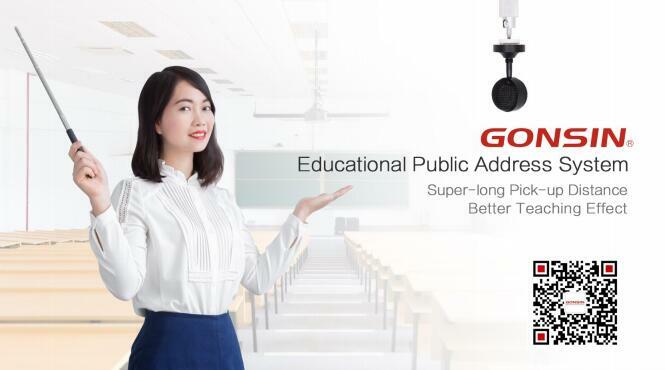 In according to the size of classroom, it just needs to install 1-4 hanging microphone, which can fully cover the stage and students zone. 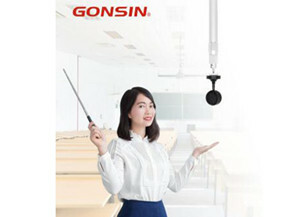 Teacher can turn of power and teach lessons without wearing any sound amplifier devices. 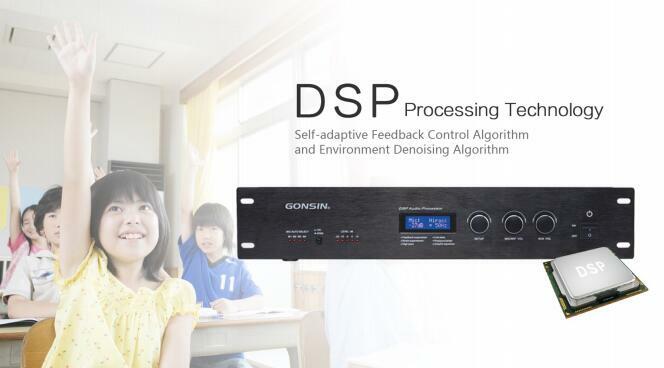 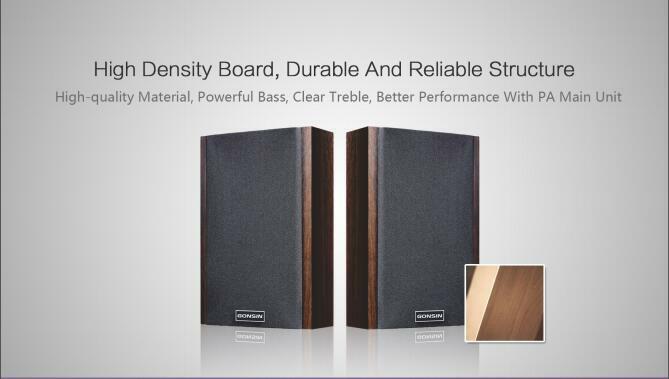 It utilizes advanced DSP processing technology and self-adaptive feedback control algorithm and environment denoising algorithm, to optimize the sound effect, which make it convenient for teachers to speak and students to listen, boost the education efficiency. 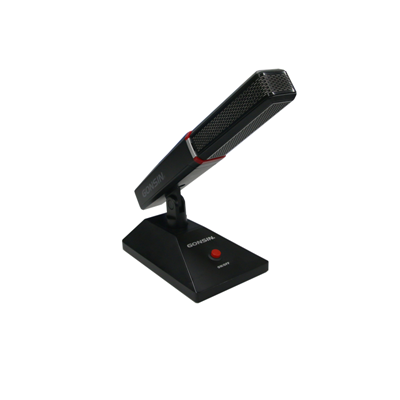 When there are more than 2 microphones and multiple person are speaking, the system can automatically recognize their speaking status to adjust the microphone open order; when one of them is speaking, the system can turn on the closest microphone seamlessly without mannul control. 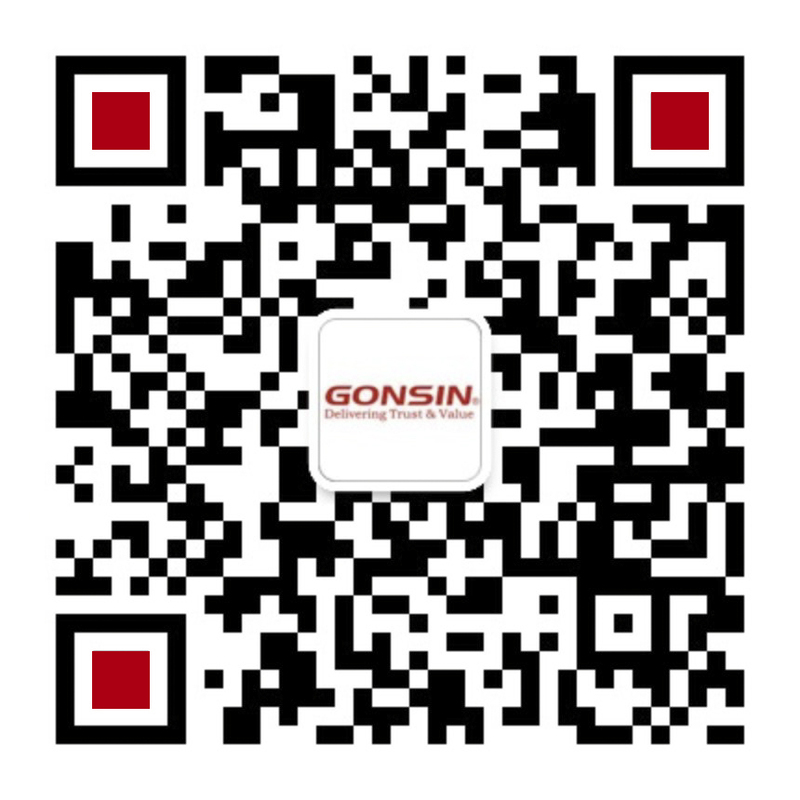 After installation, device is ready for long-term use without regular maintenance, it do not require charging or device management. 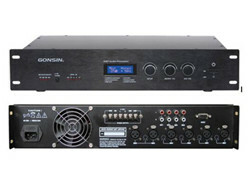 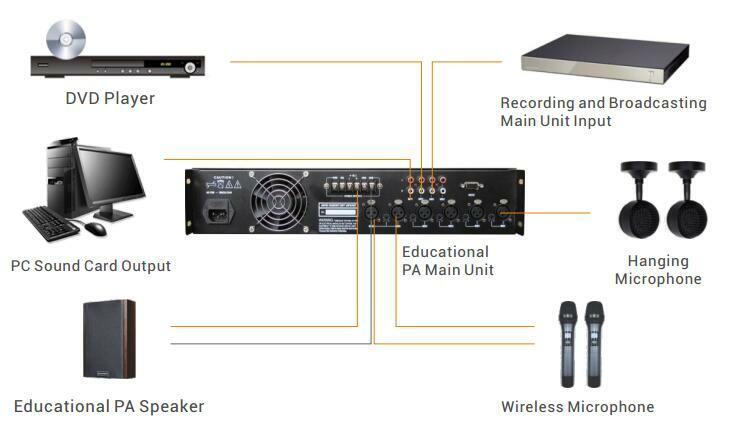 The central unit can audio input and record output function, seamlessly connect to recording and broadcasting system and broadcasting device. 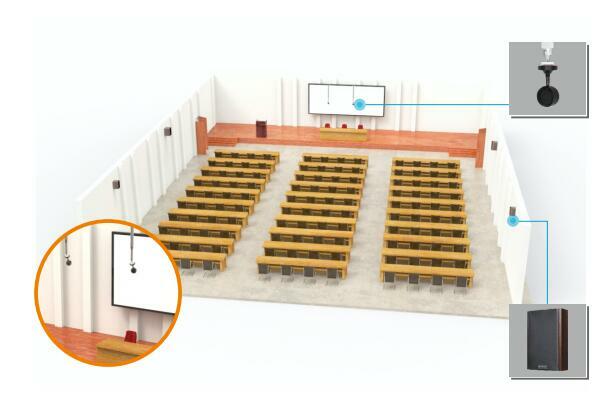 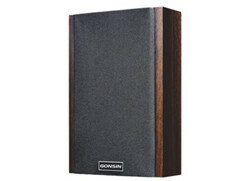 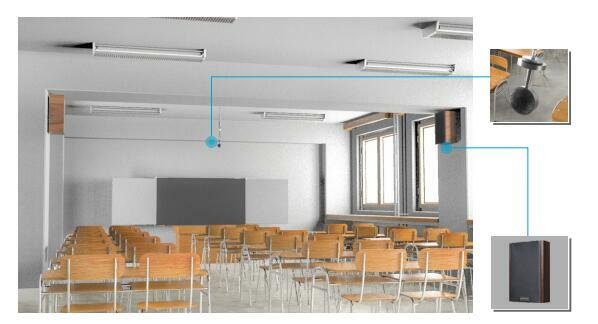 Every classroom just meet to be installed with a set of educational public address system, which can meet the lecture demand from all teachers. 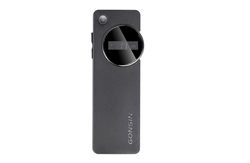 It would not demand teachers to wear microphone, which save the device budget and exempt teachers from storing devices.